Assessment of deep brain stimulation for patients with treatment-resistant depression has inched forward over the past decade with promising results but remains in its early days with a total worldwide experience of roughly 60 patients. That total includes patients who have received deep brain stimulation (DBS) leads placed in six different brain regions. However, the results suggest that one of the better target locations for DBS in patients with treatment-resistant depression (TRD) is in the nucleus accumbens, Dr. Bruno Millet said at the annual congress of the European College of Neuropsychopharmacology. The nucleus accumbens became a target because it is “at the center of a circuit involved in major depressive disorder,” and plays a “central role in reward circuitry and its dysfunctions,” he added. All patients who have received DBS had stage 5 TRD, which meant that their depression was unresponsive to all possible drug classes, including monamine oxidase inhibitors. These patients also failed to adequately respond to electroconvulsive therapy. Dr. Millet and his associates at nine other French centers ran a pilot study with four patients who received DBS in the nuclear accumbens starting in 2009. Patients received stimulation at a level of 1.5-4 V. All four patients showed gradual improvement in their depression during the first 6 months after treatment. After 1 year of follow-up, all patients had responded, with response defined as at least a 50% decline from the baseline Hamilton Rating Scale for Depression (HRSD) score. One patient went into remission, defined as an HRSD score of less than 10. None of the patients had somatic adverse effects during 15 months of follow-up, but one patient had worsening mood and anxiety and made a suicide attempt; one patient had worsening mood and sleep and increased food intake; and one patient developed paresthesia. The largest patient series and the longest follow-up of patients who received DBS in their nucleus accumbens for TRD involved 11 patients treated in Germany. The patients had minimal adverse effects, and 5 of the 11 responded, with the response remaining stable during 4 years of follow-up (Neuropsychopharmacology 2012;37:1975-85). Another target that produced notable results is the medial forebrain bundle, which led to good DBS results in seven patients treated by the same German team. Earlier this year, the investigators reported that six of the seven patients had responded and four patients had reached remission of their depression after 3-7 months of follow-up (Biol. Psychiatry 2013;73:1204-12). Two other brain targets that have been used by other groups with success are the subgenual cingulate gyrus, and the ventral capsule and ventral striatum. But “one of the striking things in DBS for the moment is the lack of any randomized controlled trials,” Dr. Millet said. He and his French associates have expanded their network to 12 centers, including one in Geneva, and they have designed and are now starting a trial that will place DBS leads in all patients but will withhold active stimulation in half the patients for the first 7 months after lead placement. 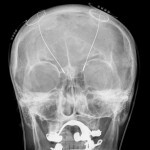 This trial is sponsored by Medtronic, a company that markets the DBS device Reclaim. Medtronic primarily markets its DBS device for the treatment of Parkinson’s disease, essential tremor, and dystonia, but in 2009, the Food and Drug Administration also approved its use to treat obsessive-compulsive disorder under a humanitarian device exemption. Some medical ethicists, psychiatrists, and neurosurgeons have questioned the growing use of DBS for obsessive-compulsive disorder in the absence of evidence for its efficacy in a randomized controlled trial, calling this practice “misuse” of the device. One of these critics, Dr. Thomas E. Schlaepfer of Bonn, Germany, also is head of the group with perhaps the largest experience in using DBS to treat patients with depression. Dr. Millet said he has received grant support from Medtronic, marketer of the Reclaim DBS therapy device. He also said he has been a consultant to, has been a speaker for, or has received research funding from nine other drug or device companies.